The SR-10C will be a 3 year project Economics, facility, time, and other commitments will influence progress. This project was started by Danny Galloway of Ann Arbor. From him, I understand he fell in love with the Stinson Reliant when he was 12 years old. Originally, I was not terribly interested in picking up where Danny left off. However, when I researched the Stinson and found it to be one of the most majestic aircraft built. I am not sure what is driving me do rebuild this airplane. I do know the personal motivation is very strong. I am honored and grateful for the opportunity Danny has afforded to allow me to complete his project and restore it to flightworthy status. The airplane is in the rafters to store it in climate controlled environment until I am ready to start in 2015. This airplane will be my second entry in the world of fabric. My first was a J-3. This will be my first "major repair" of a fabric airplane. 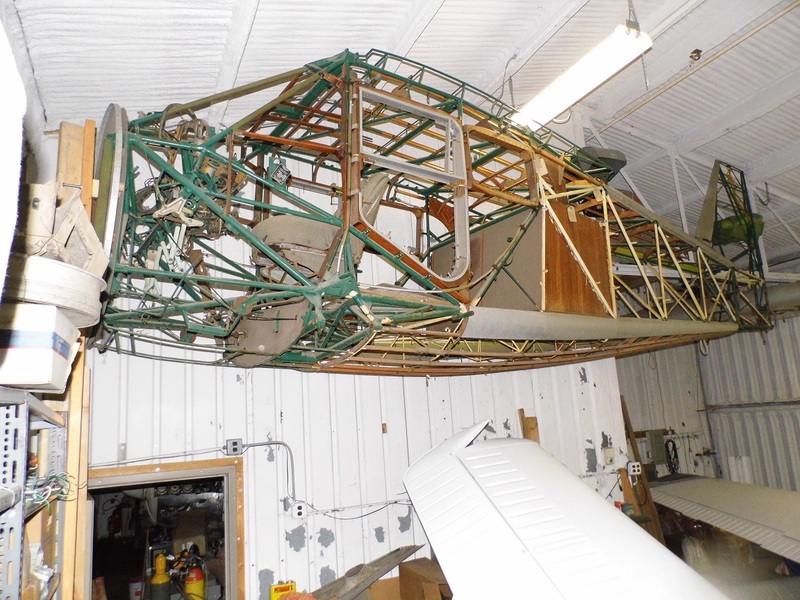 Much of the fuselage restoration was performed by the previous owner, Danny Galloway, in 1965. Even now, I admire and respect the detail and care he put into his repairs. However, time is time and I will need to dismantle some of his work to treat some rust. The most difficult aspect of this project will be finding or creating parts and maintaining compliance with the supporting documentation for the FAA airworthiness. I am curious of this airplane still exists in the FAA records, so my first restoration task will be to lay out the strategy to get it back on the registry. With current backlog, I expect to start the restoration with the covering of the fuselage in September 2015. Estimated completion will be in S;pring, 2018. The schedule may shift as I will have to work through the economics and logistics of the engine and propeller. I may want to have 100% of the parts in hand before starting. My purpose for this airplane is primarily education and to preserve this majestic aircraft.